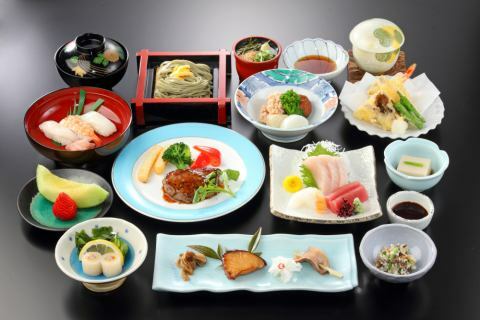 Please spend a wonderful stay with the "Miyoshiya" full-fledged meal and hospitality. 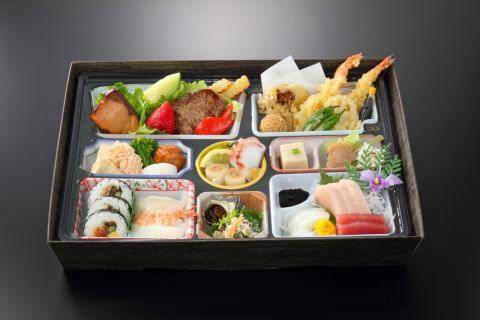 It is a cooking example. Because the seasonal ingredients are used, photos and contents may be different.Please note. 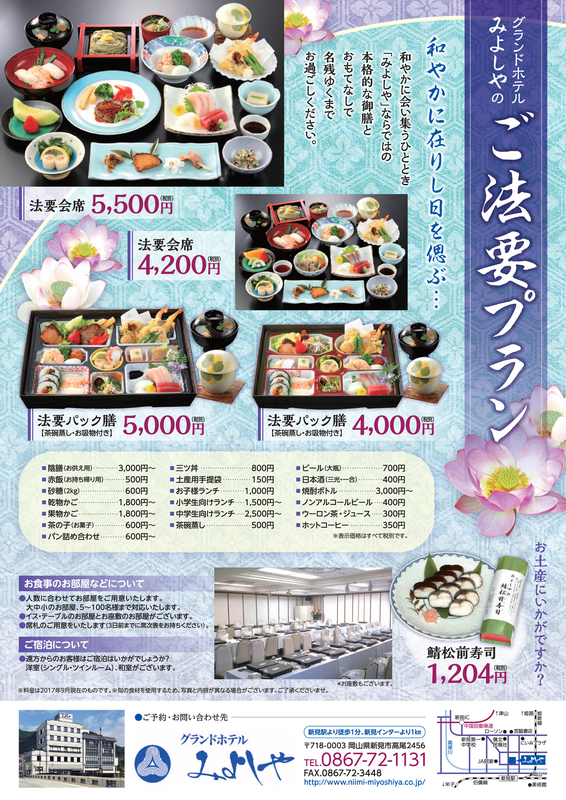 ※All listed prices are exclusive of tax. ※The fee is as of September 2017. ·We will prepare your room according to the number of people.We will accommodate large, medium and small rooms, 5 to 100 people. 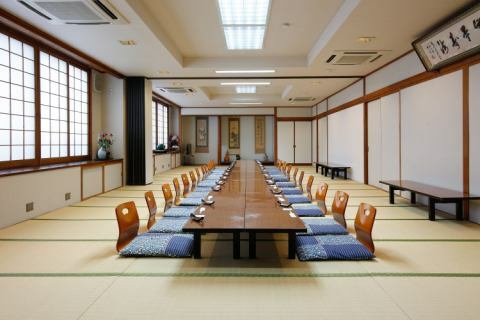 ·There are rooms of chairs and tables and rooms of Osaki. ·We will prepare a seat tag (Please bring a seat list 3 days in advance). ·How about guests staying from a distance? 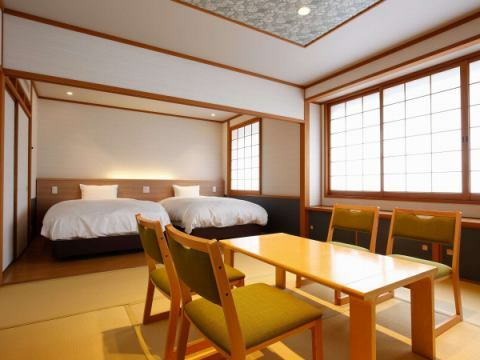 There are Western-style rooms (single and twin rooms), Japanese-style rooms, Japanese-style and Western-style rooms.